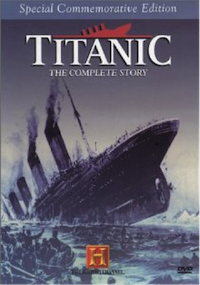 The Complete Story Volume 1 was first released in 1994 and is divided into two sections: Titanic: Death of a Dream and Titanic: The Legend Lives On. For any Titanic historian, this documentary starts at the beginning, going all the way back to when the Titanic was just an idea in the mind of J. Bruce Ismay, who, together with Lord Pirrie of Harland and Wolff, came up with the concept of the three ships, Olympic, Titanic, and Gigantic. The three sister ships were going to change the world of shipping, put the White Star Line ahead of its competition, and put the company at the top of IMM, the International Mercantile Marine that was owned by JP Morgan. Morgan had consolidated many shipping companies together. Little did Pirrie and Ismay know that they had started a chain of events that would welcome their Gilded Age into the 20th century. 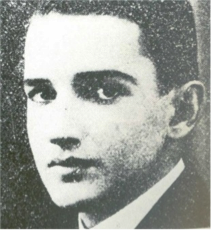 “To my mind, the world of today awoke April 15th, 1912” – Jack Thayer, Titanic Survivor. Actor David McCallum narrates the complete story of the world’s most famous ship, the RMS Titanic. What makes this documentary of one of most informative is the fact that it starts from the Titanic being an idea in Ismay’s mind to the 46,000 ton ship that set sail from Southampton on April 10, 1912. 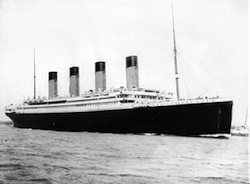 With the combination of the artwork from artist and historian Ken Marschall, photos, and computer animation, viewers are taken on board the Titanic as she sets sail. 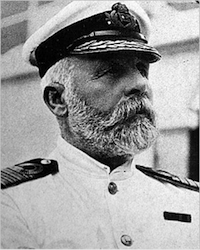 To give viewers their own first-class suite aboard the Titanic, the documentary features experts on the grand ship including such well-known names as Don Lynch, George Behe, Wyn Wade, John P. Eaton, Charles Haas, Walter Lord, and so many more, including officers from the Titanic Historical Society, President Edward Kamuda, and Vice President George Behe. As the voyage goes on, every detail of the journey plays out, including the iceberg collision, and quotes from passengers as the disaster unfolds. The first half of the Death of a Dream documentary ends with the Titanic’s decks being filled with people who have no idea that only 705 of them will survive to see the morning. In the Legend Lives On, the viewer is transported back to the now-sloping deck of the RMS Titanic as she began to sink slowly into the freezing water of the North Atlantic. The documentary splits between the passengers still on deck waiting for rescue, the news of the Titanic hitting the iceberg, radio signals for help reaching New York City, and the shock of the fact that the unsinkable ship was sinking. While viewers live through every chilling minute of the last moment of the RMS Titanic, the experts discuss what is happening and the slow realization that comes over the passengers about the ship that is sinking beneath them. Once the ship goes down, the documentary shifts to the aftermath of the sinking, the shock and grief that the world felt at its loss, and how the sinking changed the world, even to this day. However, the world did go on without the Titanic, as she silently slept at the bottom of the ocean until the world was ready again for her. The documentary then changes to how people were trying to find the Titanic again and then finally is found by Dr. Robert Ballard, a man who has a reputation for being one of the world’s best underwater explorers. Dr. Ballard talks about how he found the Titanic, the expeditions that have brought up artifacts that were undergoing treatment to preserve them, and the legacy of the world’s most famous ship. Titanic: The Complete Story Volume 1 comes with one disc that contains two documentaries, Death of a Dream and The Legend Lives On. Narrated by actor David McCallum, the two-part documentary shows the conception, construction, and sinking of the world’s most famous ship, the RMS Titanic. For people who are interested in the Titanic, the two-part documentary does answer a lot of questions and also gives them a view of the disaster from both experts and survivors that they have never heard from before. This will truly put them on the deck of the RMS Titanic alongside those who were waiting in the North Atlantic for rescue that would only save a handful of them before it was all over.